Do you need customized boxes to package a specific item? Our design team can help you create the custom packaging you’re looking for. We can design, print, foil stamp, emboss, die cut, and assemble your decorative boxes all within our shop using our state-of-the-art equipment. 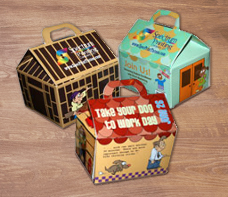 Use your product packaging for promotions, gift giveaways, advertising, or retail purposes. Custom boxes are a creative addition to your marketing campaign, and we’ll make sure your brand identity and logo design stay consistent in color and quality. Whatever your need, we’re here to help you create the custom boxes and packaging that will give your products the best look possible.